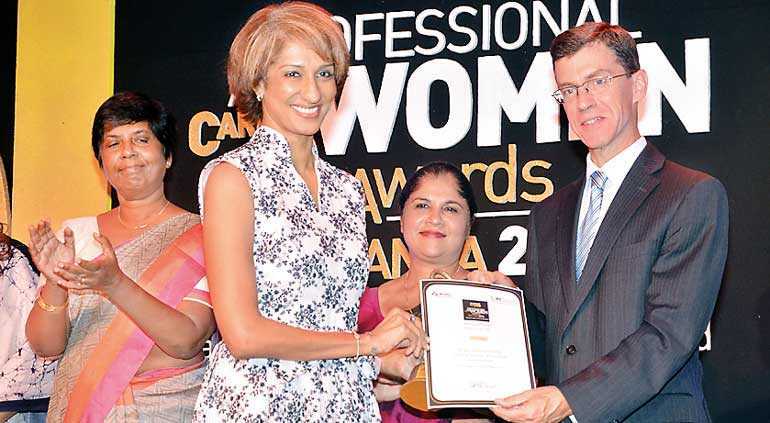 Otara Gunewardene receives the award from UK High Commissioner James Dauris - Pic by Upul Abayasekara. Organised by Women in Management (WIM) and IFC, a member of the World Bank Group, the awards witnessed 63 women from Sri Lanka and the Maldives being honoured with prestigious Gold and Silver awards for excellence. From being a sole proprietor of one store in 1990, Otara pioneered the country’s premier fashion and lifestyle brand ODEL. She rose to fame as a leading female entrepreneur, fashion icon and philanthropist. Her lifestyle store ODEL became renowned throughout Asia as a top retailer, and she was the first female entrepreneur to take her company public in 2010. Otara was recently appointed to the Board as a Non-Executive Director, becoming the first female director in history on the Singer Sri Lanka PLC Board. The awards ceremony was dedicated to celebrating the success, contribution and achievements of remarkable Sri Lankan women who have excelled in inspiring and transforming those around them to increase women’s participation in leadership roles and to motivate them to reach higher in their selected careers. Parliament Speaker Karu Jayasuriya was the Chief Guest at the awards ceremony, while the Guest of Honour was State Finance Minister Eran Wickramaratne. Australia’s Ambassador for Women and Girls Dr.Sharman Stone delivered the keynote address at the event.